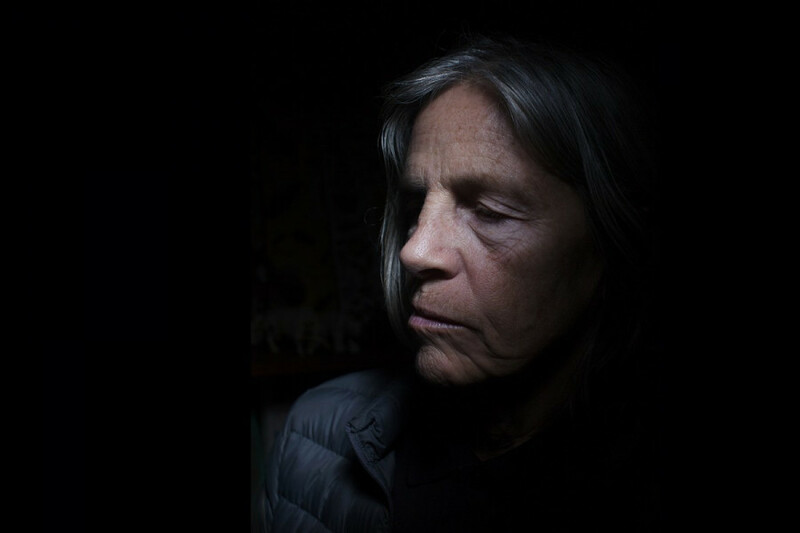 After decades of a prolific and creative literary career, Eileen Myles launched their latest book, Afterglow (a dog memoir) last September. Montreal’s latest literary edition La Petite Librairie Drawn and Quarterly was freshly painted and ready to welcome Myles on Tuesday. It had been raining all day, the room was steamy, and the floor was covered in leaves. Upon their arrival, Myles reflected on the beauty of the scene. Eager to meet this icon of American literature, devoted readers arrived an hour early, securing their seats and leafing through copies of the book. Both long and short term readers and curious passersby were drawn in by the gathering crowd, and the room was full and buzzing with energy. Soon, every chair was occupied, and a standing crowd began to form. Despite the rain, the audience’s excitement wasn’t quelled. Afterglow (a dog memoir) is an intense and complex poetic account of the life and passing of Rosie, Myles’ late pit-bull. The writer masterfully uses language to illuminate raw realities of the relationship between dog and owner. A table was set up, featuring only a fraction of Myles’s impressive body of work. 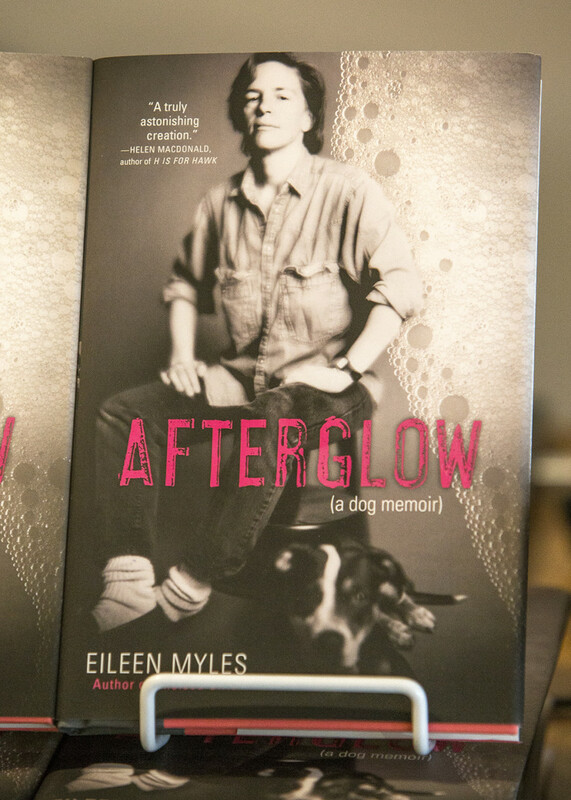 Beside a stack of Chelsea Girls and Sorry, Tree, a pile of brand new copies of Afterglow (a dog memoir) rested. Myles laughed, recalling how their interaction with the photographer had not been pleasant. In fact, Myles had only received the photos for the book about a year or two ago. And the photoshoot had happened 20 years ago. Myles later clarified that Greenfield-Sanders was not mad at her, but that they were too uncomfortable to ask for the photos. “It came out of the past,” Myles said, holding a copy of their book, contemplating Rosie. When they read excerpts of their book out loud to the crowd, they gave an insightful voice to Rosie and intensified the humour of the text. The performance was more than a recitation; Myles caught the vibe of the room and condensed it into creative energy. They were generous and frank in their delivery of their text. Afterglow (a dog memoir) drips of humor and tenderness, intertwining Rosie’s voice, critical and loving towards her owner, with the writer’s experiences of love and loss. “A big piece of what this dog meant for me was that I knew her from puppy to her death. I saw that whole life,” Myles explained. A previous iteration of this article attributed a bad experience as to why Myles only received the photos for their book much later than expected. The Link regrets this mistake.